Front Office is one of the most comprehensive and important modules for day-to-day tasks and guest management. It includes a broad range of features, from a Booking Chart to aid in managing guests across a range of dates and rooms, to guest Cashiering functions and various statistical reports for availability, revenue and guest information. 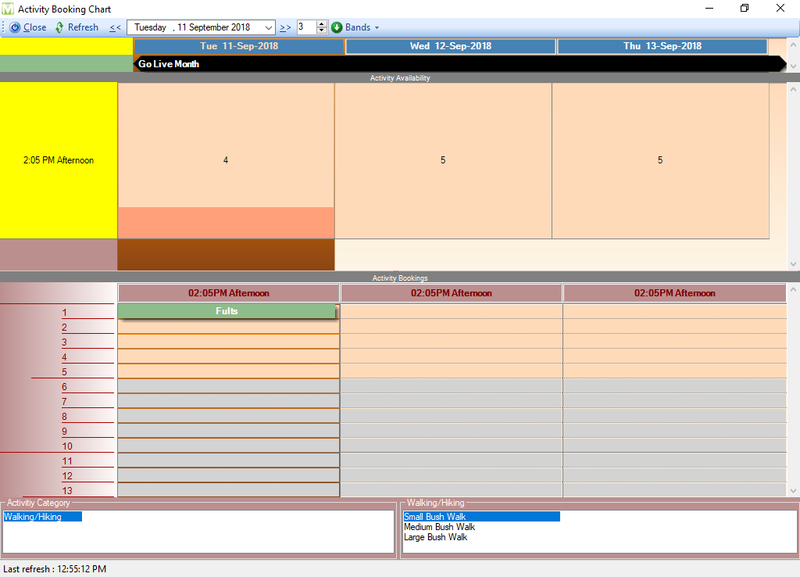 The Front Office module includes Reception, Reservations and Cashiering. 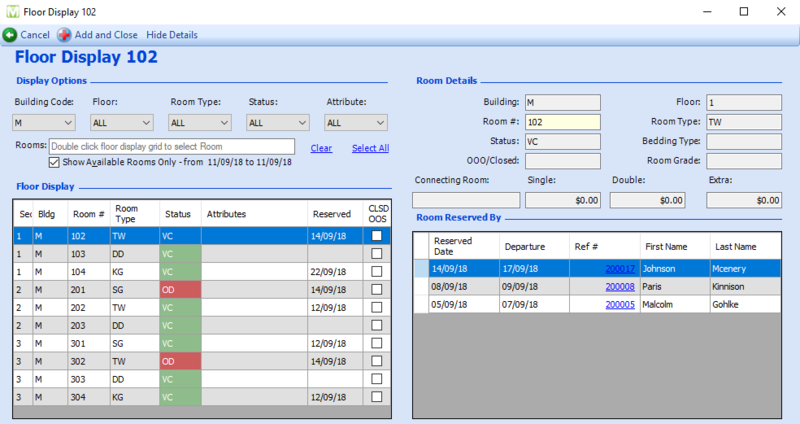 The Housekeeping module allows the management of room attendants and their daily assignments, customising service types for different room types, recording and returning lost items, and offers various Maintenance and Out of Service features. 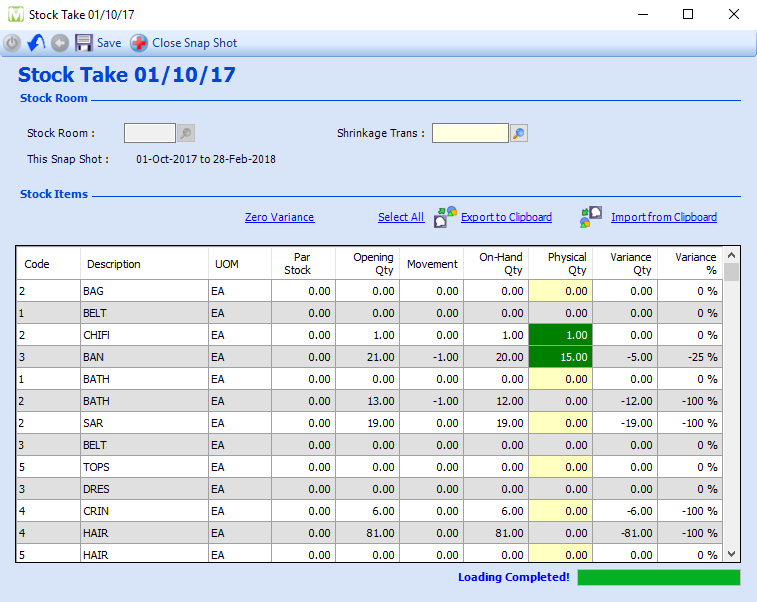 The Stock Control module is primarily used to manage Stock Levels across many outlets, departments and stock rooms. 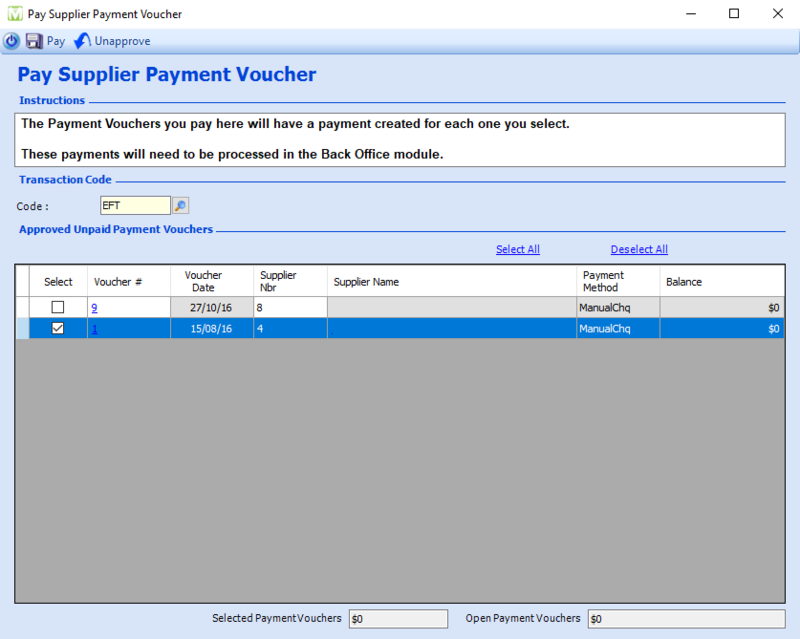 This module has functionality including monthly Stock Takes, stock requisitioning for both internal transfers and purchases, generating purchase orders and generating and paying supplier invoices. 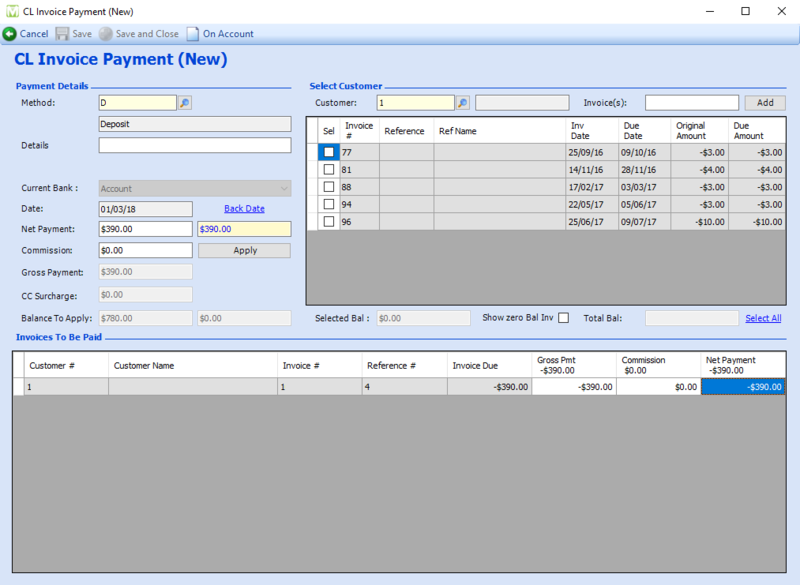 When using the invoicing functionality, Stock Control directly integrates with the Back Office module for payment processing. Stock Control also has the option to integrate directly with the Maxial POS, automatically decrementing stock whenever linked items are sold. Accounts Payable is managed through both the Stock Control and Back Office modules. The processing through Stock Control allows for easy generation of purchase orders and general invoices, invoice payment and final approval for payment. Payments are then processed through Back Office. The Activities module allows configuring and management of just about any type of non-accommodation related booking. It can be used to manage and take payment for both self-operated Activities and third-party-operated Activities, ranging from transportation to tours to recreational activities. Settlements for Activities can be paid via any normal payment method and can also be transferred to a City Ledger account or a guest account. 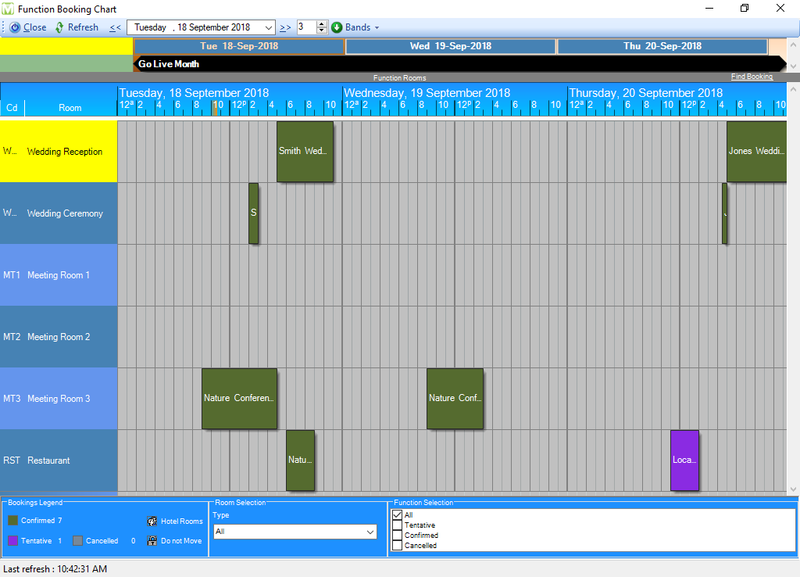 The Activities module also includes a booking chart like the Front Office booking chart to help to maintain and manage Activity bookings by date, time and type of Activity. 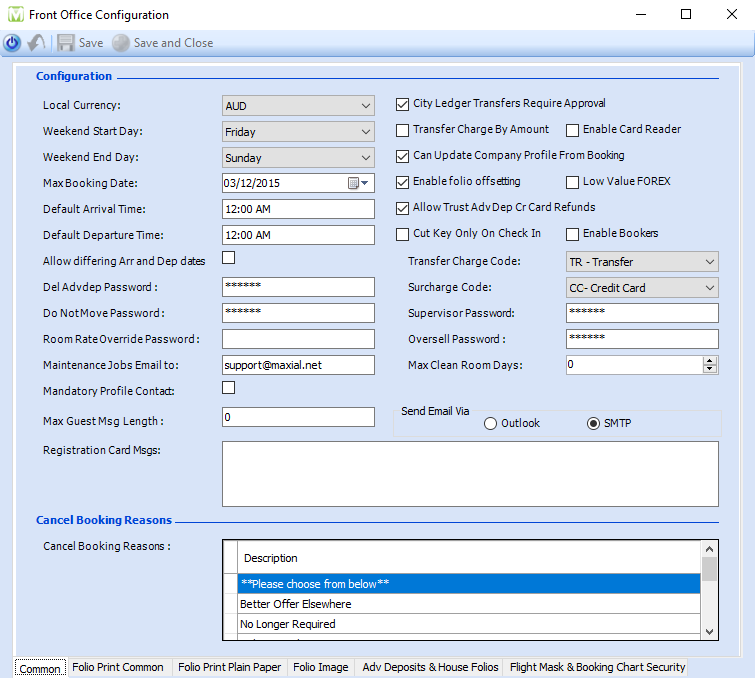 The Maxial City Ledger module is used to track, sort and maintain receivable revenues due to the hotel. Within this module a user can create new customer and agent accounts, create, adjust, transfer and pay off invoices, manage travel agent commissions and prepare accounts receivable statements and aged trial balances. The Sales & Marketing module provides an enormous and diverse amount of information which can be used to analyse who your customers are and where they are coming from. 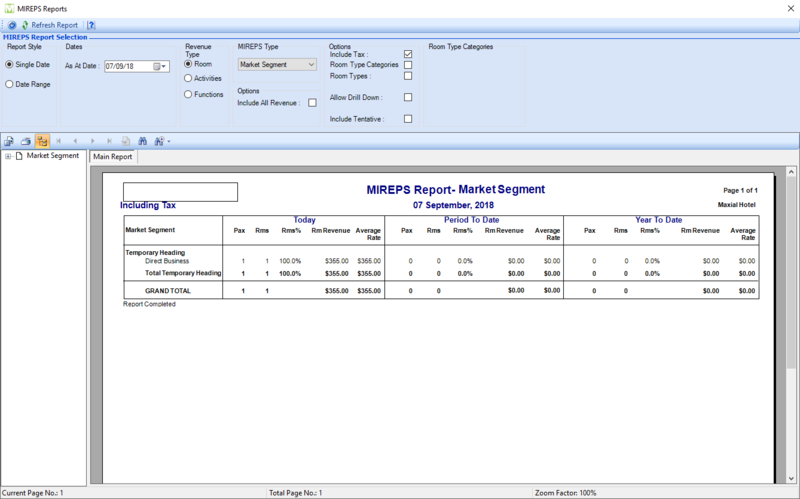 It is within the Sales & Marketing module that the Marketing Reports are set up and can be printed. The reports can also be set to be printed, emailed or saved as pdf files in the Night Audit. Within the Functions module you can run your conference and event department. It allows you to block rooms, add food, beverage and equipment menus and produce quotes and event sheets at a click of a button. The Functions module can be used to book, maintain and bill distinct types of Functions such as Weddings, Conferences, Meetings and other general events. Functions allows the configuration of many types of events, rooms, room styles, food and beverage menus and equipment hire. Billing for Functions is done directly through the Functions module and can be billed to any typical payment method or can also be charged through to either a City Ledger account or a guest account. 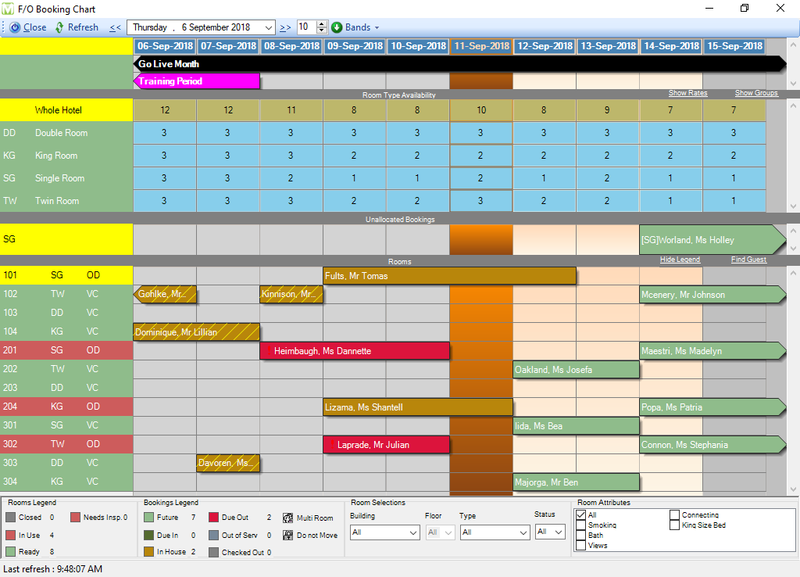 The Functions module also contains a booking chart to assist with easy management of Function bookings by date and time. 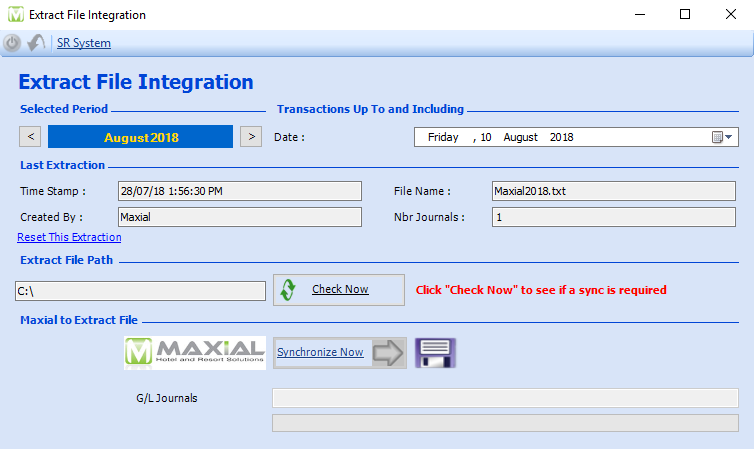 It is within this module that majority of the setup for Maxial POS is configured. 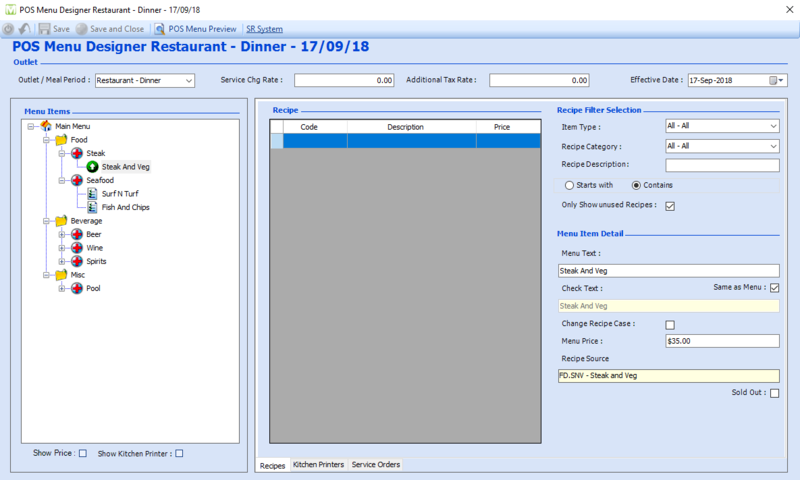 The POS table layout screens, outlets, recipes, menus and waiters are created in this module as well as many other features. Many reports can also be extracted from this module. This module also has various reporting and enquiry functionality to help keep track of sales and statistics, as well as preview closed and current checks outside of Maxial POS. The Night Audit module is where the daily rollup is handled for the property. 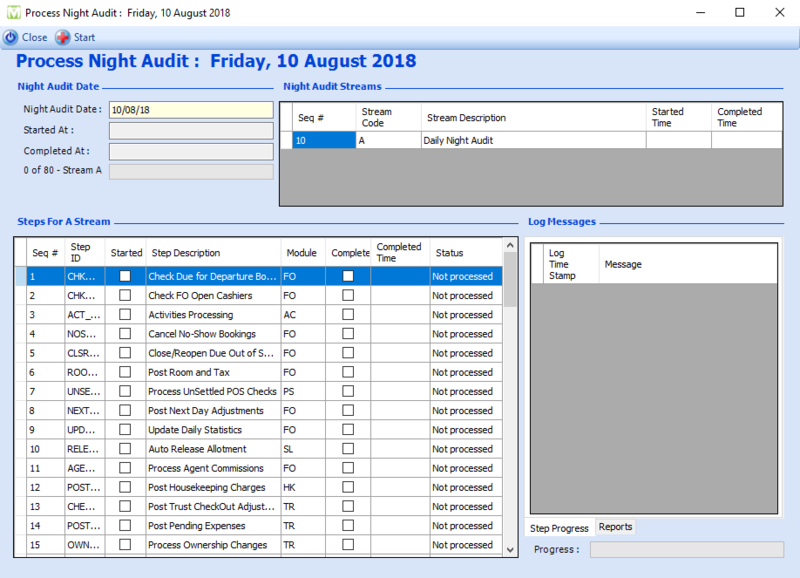 The Night Audit process covers dozens of regular daily tasks with minimal user input, ranging from closing cashiers, posting the guest charges for the day and automatically generating and emailing a selection of core reports. The Back Office module is primarily to process payments, bank reconciliation and for integrations to third-party General Ledger systems. The Hotel Configuration module is where the property's building layout and property specific settings are managed.